We just received the official word from Pro Mod Champion Adam Flamholc, that he will be making some changes to the well known Corvette and entering all of the PDRA races in Pro Extreme. 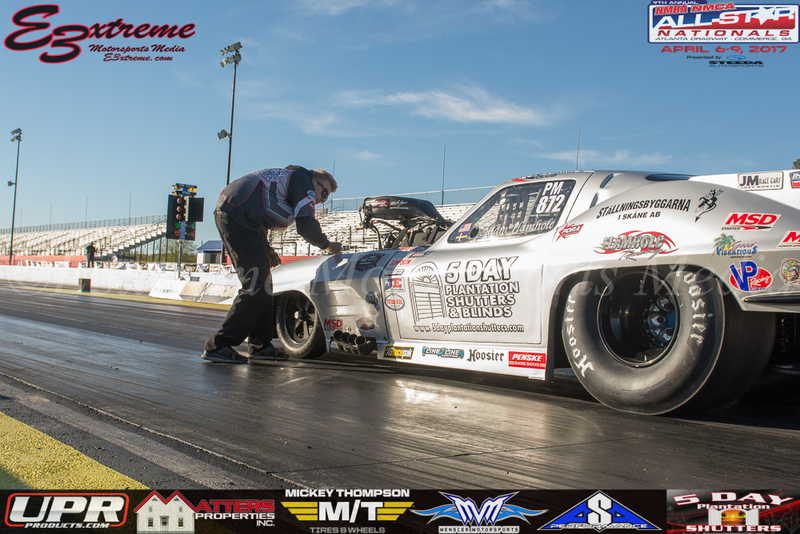 Adam, who was a front runner for the NMCA Pro Mod championship last season, has decided to strap a screw blower on his Corvette and run with the quickest pro mods on the planet in PDRA Pro Extreme. It is a C Rotor strapped to the HRE built engine. This is the same car that has been dominate everywhere over the last few seasons. The Corvette will also compete in NMCA as time allows in 2018, but the teams main focus will be PDRA. The team will also be running with Frank Beal's Outlaw 632 car to make it a real family environment. Most of you already know that Adam's car spent the winter at Chris Duncan Race Cars getting fixed up and updated by Chris, Jonas, and the rest of the crew. Adam had the car out at Bradenton for the U.S. Street Nationals, but ran into a parachute deployment issue before the burnout that knocked him out of the event. We look forward to seeing Adam dropping the HRE hammer on the PDRA field in 2018. Stay tuned for results from Adam and the team.